One more trapped victim of the Gwarinpa Abuja building collapse has been found this afternoon with the continuation of search and rescue led by NEMA and FCT SEMA. 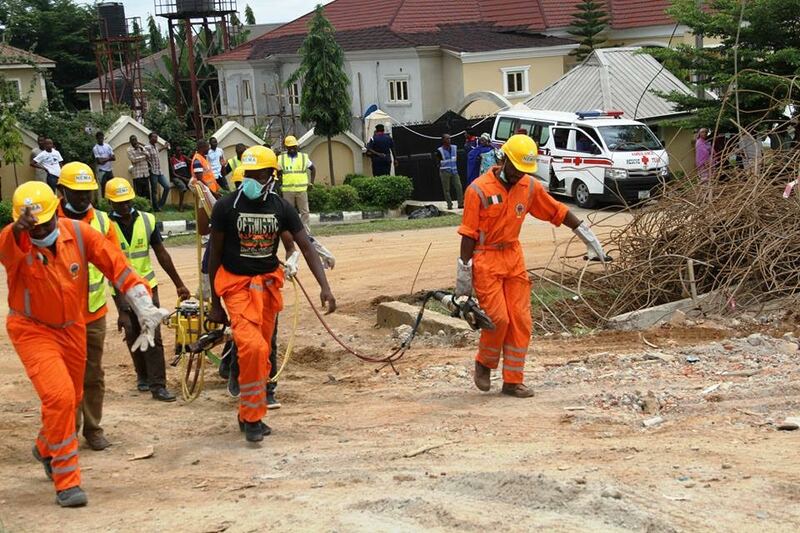 Unfortunately, however, the victim was dead but his body was recovered after heavy duty equipment were used to remove rubble of the collapsed structure and NEMA team deployed specialized search camera underneath in searching for the trapped victims. 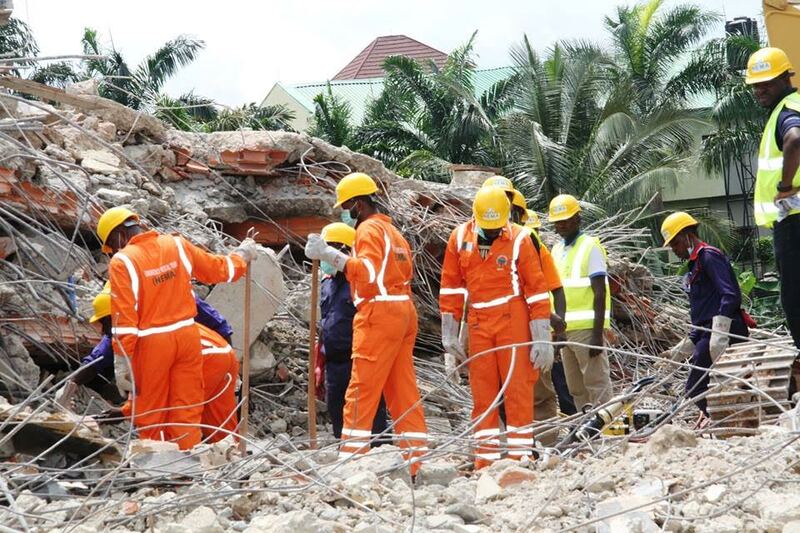 On Monday, August 29th, six persons were rescued alive after the four-storey building collapsed at 444 Crescent, Citec Villa, while two persons were still remaining under the rubble. 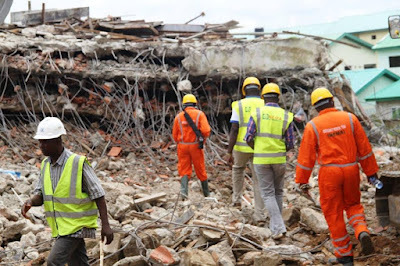 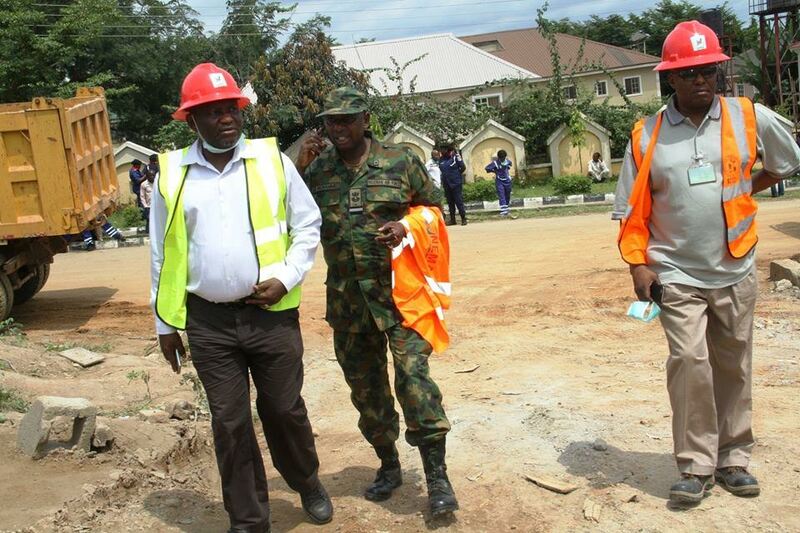 With the latest development, it is possible that only one more person may still be left under the debris and as the rescue continues, he soon be found, the National Emergency Management Agency (NEMA) said. The Search and Rescue is being coordinated by NEMA and FCT Emergency Management Agency with NEMA's Director of Search and Rescue Air Codre SBB Mohammed and DG FCT SEMA Idris Abbas leading the operations.